Sedimentary rocks are perhaps the most easily recognizable of the three groups of rocks that make up the rock cycle. As their name implies, sedimentary rocks are formed from sediment, which is an assemblage of unconsolidated earth materials. Sedimentary rocks form from a multi-step process that involves the creation, transportation, and hardening of sediments. As a direct result of this process, sedimentary rocks can contain information about the Earth’s history and the history of life. 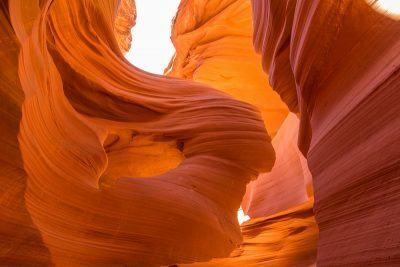 In addition, sedimentary rocks serve many other purposes: they contain fossil fuels, serve as building materials, and produce beautiful landscapes that attract millions of tourists every year. How Are Sedimentary Rocks Formed? 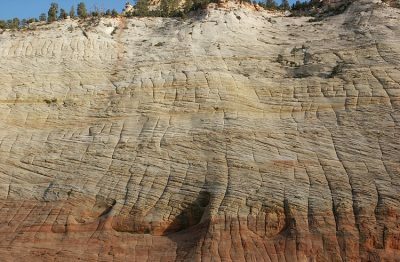 Sedimentary rocks are formed in a multi-step process that involves the weathering, erosion, transportation, deposition, burial, lithification, and diagenesis of sediment. These steps are outlined below. The first step of making sedimentary rocks involves the production of sediment. As already described above, sediment is an assemblage of unconsolidated Earth materials or, more simply, a collection of loose rock fragments, soils, minerals, skeletal fragments, soils, or other Earth substances. There are three general types of sediments: clastic (also known as siliciclastic), chemical, and biochemical. Clastic sediments are produced via a process called weathering; as wind, water, ice, or other agents interact with pre-existing rocks, the rocks gradually break apart into smaller rock fragments and mineral grains. These bits and pieces can vary in size from micrometers to meters in diameter, and the size of sediment determines the type of rock formed. In addition to varying in size, sediments can vary in the amount of sorting and roundness. Some of the more common clastic sediments include silicate minerals (such as quartz), clay minerals, feldspars, and fragments of rocks. Chemical and biochemical sediments form not from weathering of pre-existing material but rather when chemicals precipitate out of solution. If the sediments precipitate out of solution due to a physical process such as evaporation (like in a salt flat or other low-lying area), then they are termed chemical sediments. If, on the other hand, the sediments precipitate out of solution when organisms use chemicals dissolved in water to build their skeletons, then they are termed biochemical sediments. Organisms that form biochemical sediments include corals, crinoids, diatoms, coccolithophores, and many others. After sediments have been produced via weathering or chemical precipitation, they will commonly be removed from their site of formation in a process called erosion. They will then be transported to a new location under the influence of water, ice, wind, or other forces. Then, when the forces causing transportation change, the sediments will eventually be deposited in a new location called a depositional environment (discussed below). Once deposited, the sediments will often be buried by successive layers of sediment. This gradually compacts the sediments and transforms them in a process called lithification. This changes them from loose sediments into rock by making them harder, denser, and tougher. The process of lithification may be aided via several different process collectively termed diagenesis; diagenesis includes recrystallization, precipitation of cement, and heating among others. 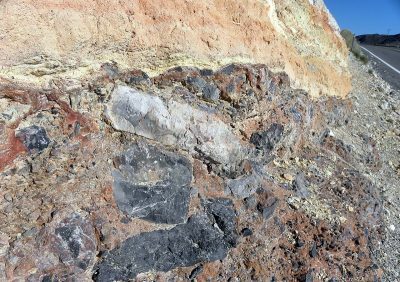 Once lithification and diagenesis are complete, the end result is a sedimentary rock. 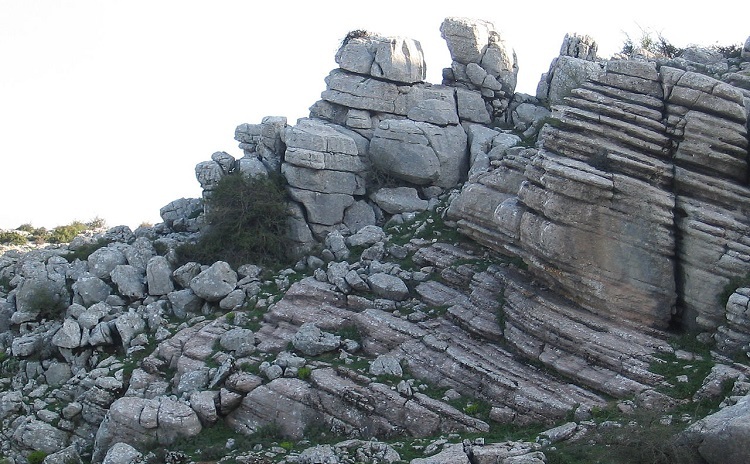 Sedimentary rocks can be broadly divided into two groups based on the sediments that formed them. If a sedimentary rock comes from clastic sediment, then it can be called a clastic sedimentary rock. Examples of clastic sedimentary rocks include sandstone, shale, conglomerate, and many others. If, on the other hand, a sedimentary rock formed from a chemical or biochemical sediment, then it may be called a chemical sedimentary rock. These include chert, limestone, gypsum, and others. Sandstone is one of the most common and easily recognized sedimentary rocks. Sandstone is made of clastic sediments ranging between 2 and 0.062 mm in diameter. There are several different types of sandstone. A quartz arenite is made up of almost exclusively quartz grains, and an arkose sandstone contains at least 25% feldspar. A lithic sandstone contains rock fragments, and a graywacke includes everything mentioned above, as well as a clay matrix surrounding the grains. It may be deposited by many different depositional environments, including beaches, river channels and deltas, lagoons, sand dunes, and others. Shale is another clastic sedimentary rock. Its silt- and clay-sized grains are much smaller than the grains found within sandstone, and it is commonly deposited in areas with very weak currents. This causes the rock to have very thin layers within it called laminations. Shales may contain abundant fossils, and they can often contain large amounts of organic matter and oil as well. River deltas, deep marine environments, and lake beds may create shale. Conglomerate and breccia are clastic sedimentary rocks with large grains. They differ, however, in the roundness of their grains: conglomerate has smooth, polished grains, whereas breccia has rough, angular grains. These may be deposited by glaciers, alluvial fans, or river beds. Limestone is another commonly recognized sedimentary rock. Unlike the previously mentioned rocks, it is made up of the biochemical sediment calcite (CaCO3). A common test to determine if a rock is limestone is pouring acid on the rock. If the acid reacts with the rock, then it’s very likely that it is a limestone, because the acid reacts with the carbonate to make bubbles of carbon dioxide. Limestones are commonly deposited in marine environments such as coral reefs or shallow areas near the coast. Limestone is not the only common rock made up of biochemical sediments; chert, or flint, is also formed from detrital remains of organisms. Instead of being made of calcite, however, chert is made of silica. 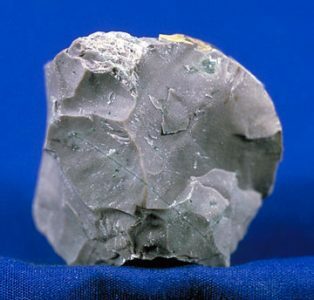 Chert has been used to start fires by striking it with steel to produce sparks; it has also been used to produce stone tools due to its tendency to form sharp edges when broken. Chert is deposited in marine environments. Coal is one of the most important rocks to humans. It is made of mostly carbon from the remains of dead plants and other organic material. When burned, it produces heat, which is used as fuel to produce power and heat buildings. There are several different types of coal that vary in the total percentage of carbon they contain. 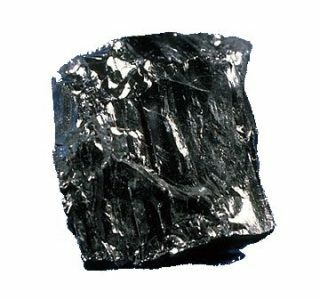 Coal is commonly deposited by swamps. Sedimentary rocks have many characteristics that set them apart from other types of rocks. The most important characteristic is how they form. This process differs greatly from both igneous rocks (which form from cooling magma or lava) and metamorphic rocks (which form by transforming already-existing rocks with heat and pressure). In addition, sedimentary rocks are deposited in horizontal beds which results in their characteristic banded appearance. 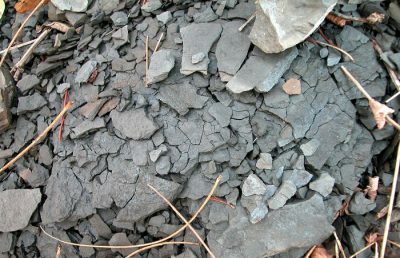 Sedimentary rocks can vary greatly in their resistance to erosion; some, like limestone and sandstone, resist erosion well, whereas others, like shale, crumble easily. 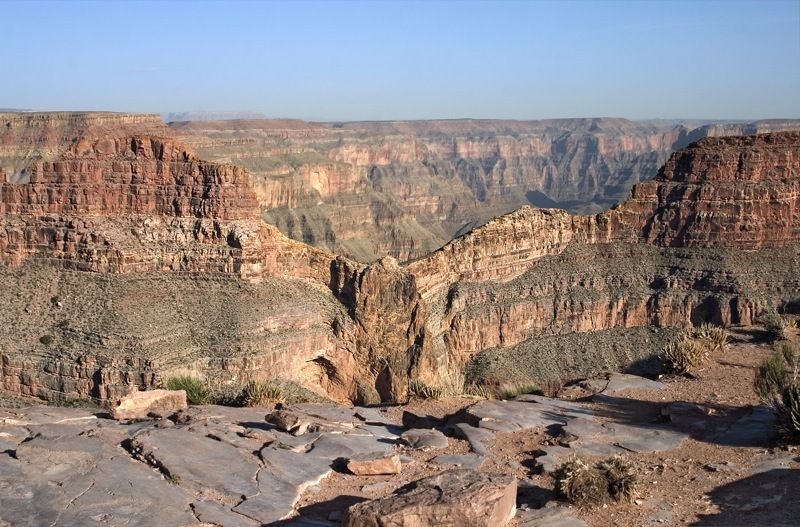 As previously mentioned, sedimentary rocks are deposited in areas called depositional environments. A depositional environment is an area where the rate of sediment deposition exceeds the rate of sediment loss via erosion, and this is commonly caused by a decrease in current strength during transportation of sediments. 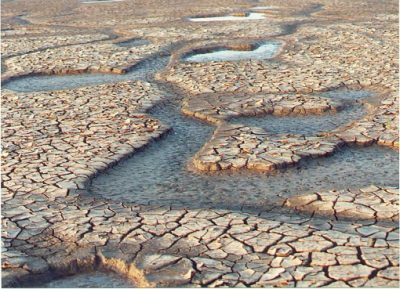 Examples of potential depositional environments include river channels and deltas, floodplains, lake beds, coral reefs, tidal flats, and many more. Each of these environments produces different types of rocks due to differences in sediments, and they will often leave signature “fingerprints” within the rock that give clues as to what kind of environment deposited the rock. These clues include shapes and patterns within the rock called sedimentary structures. Sedimentary structures form within sedimentary rocks due to how they were deposited. These structures include crossbedding, symmetrical ripples, mud cracks, and others. Crossbedding forms when sediments are deposited by a current flowing in one direction. The current causes asymmetrical ripples to form on the ground; as individual grains are pushed up the slopes of these ripples, they tumble down the other side and leave angled lines when viewed from the side. Crossbedding may form in river or stream beds, sand dunes, or other areas where there is a constant, unidirectional current. Unlike crossbedding, symmetrical ripples from when a current pushes sediments back and forth. This forms a series of ridges and troughs with equal slopes on both sides. If you have ever gone wading at a beach and looked down to see ripples in the sand at your feet, then you’ve seen symmetrical ripples. Mud cracks from when an area of sediment experiences rapid drying. As the water leaves, the sediment shrinks and forms distinctive cracks. As mentioned previously, sedimentary rocks can reveal information about the environment that deposited them. As a result, sedimentary rocks can offer insights into both the history of a specific place on Earth as well as Earth’s history in general. As an example, much of the midwestern United States is underlaid by limestones and shales with fossils of fish, coral, brachiopods, and other marine animals. This leads scientists to conclude that, at some point in Earth’s past, much of modern North America was underwater. In addition to revealing Earth’s past, sedimentary rocks reveal the history of life on Earth because they contain nearly the entirety of the fossil record. (Other types of rocks usually destroy organic material and prevent fossils from forming.) This allows scientists who study fossils, called paleontologists, to learn about how life evolved, what organisms lived in the past, and how different organisms alive today came to be. 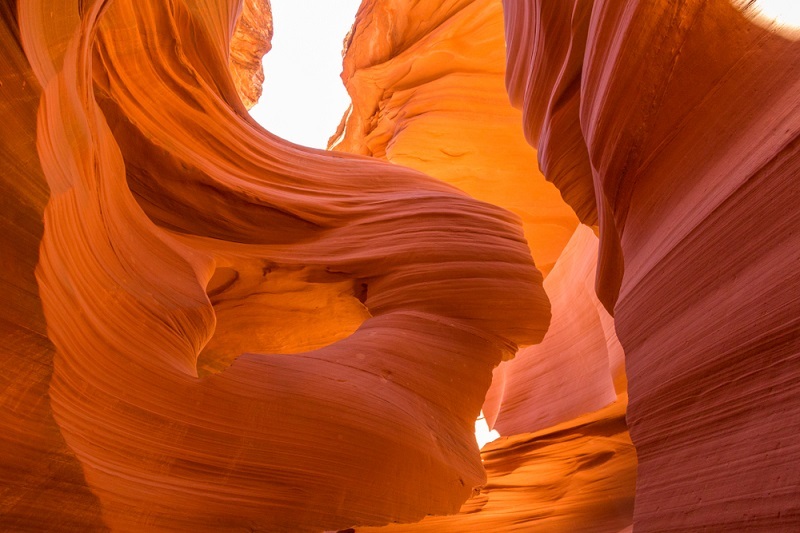 In addition to containing the history of life on Earth, sedimentary rocks are incredibly important to humans today because they provide many different natural resources. Many sedimentary rocks are used to make building materials. Limestone and sandstone are often used to make building blocks for constructing buildings, walls, and other structures. Sedimentary rocks also provides the ingredients necessary to make concrete, including aggregates (loose rock fragments) and quicklime (calcium oxide; CaO). Furthermore, sedimentary rocks contain virtually all of Earth’s fossil fuels. Coal, oil, and natural gas are all found in sedimentary rocks, and these fuels power most of human society today. For example, it’s likely that the energy powering the device you’re reading this article on came from oil or coal. Similarly, the food that you’ve eaten today was likely transported on a vehicle powered by fossil fuels. Virtually all of our transportation systems, including most cars and trucks, trains, and planes, are powered directly or indirectly by fossil fuels from sedimentary rocks. 1. Which of the following lists the steps of sedimentary rock formation in the correct order? 2. Which of the following is NOT a use of sedimentary rocks? 3. What sedimentary structure is formed from a constant current? Press, F.; Siever, R. (1998) Understanding Earth, 2nd Ed. W.H. Freeman and Co.: New York. Rothery, D.A. (2010) Geology: The Key Ideas. McGraw-Hill: Blacklick.